Speaking at the BJP national executive meeting in New Delhi, Thakur said the concept of New India would result in the country reaching new heights of development. 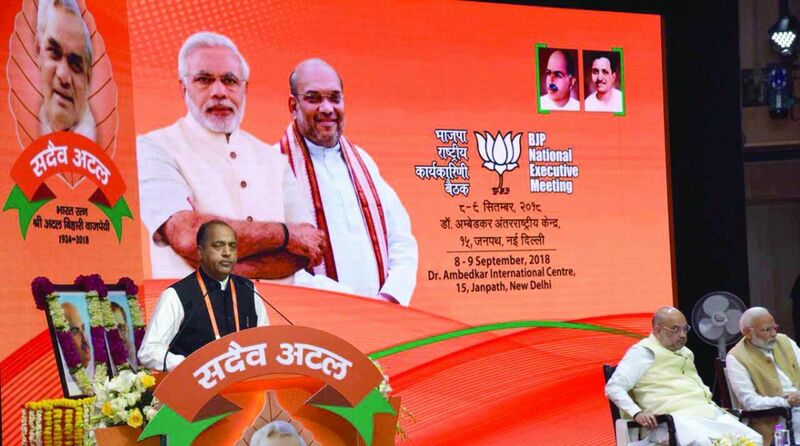 HP Chief Minister Jai Ram Thakur speaking at the BJP national executive meeting in New Delhi. Chief Minister Jai Ram Thakur on Sunday said the Bharatiya Janata Party (BJP) would secure big win in the upcoming Lok Sabha polls in 2019. 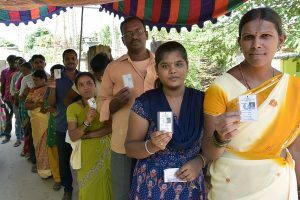 He also detailed about the achievements of the Prime Minister Narendra Modi led government at Centre and the people of the country would vote for the party owing to these people centric policies. He also approved of political proposal put forward by the Union Home Minister Rajnath Singh which was based on present political scenario in the country.